The PDC is proud to celebrate Disability Employment Awareness Month (DEAM) every October. It is important to us to recognize and celebrate the inclusive employers and diverse employees that we work with. This year we’re calling on the Government of Alberta to issue a formal Provincial Proclamation of October as Disability Employment Awareness Month. In partnership with the Government of Alberta, inclusive employment will become a priority. 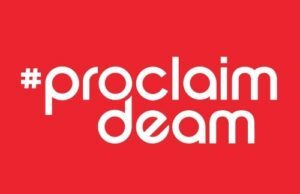 We’re hoping with your help that 2017 is the year the Government of Alberta will issue an official Proclamation of DEAM. If your’e interested in getting involved at your place of work, feel free to download our DEAM Employer Toolkit 2017 (PDF) created by our colleagues at the Calgary Employment First Network.